Ultimately, we would like to be able to live off of only my husband’s income, and have my income be entirely used to pay off debt. Right now, though, we rely on some of my income to meet our monthly obligations and that is now how I want it to be. To me, it is so much cleaner to be able to live off one income and use the other to make extra payments towards our debt. What we eventually decided to focus on for debt refinance was a home equity loan. We were lucky enough to be able to purchase our home very cheaply, which means that we had instant equity which we have now decided to take advantage of. But first, we have to get through the appraisal. Of course, we want the house the appraise as high as possible, because the higher our house appraises, the lower our interest rate on the home equity loan! So I did some research, because this week I need to know how to rock that appraisal! 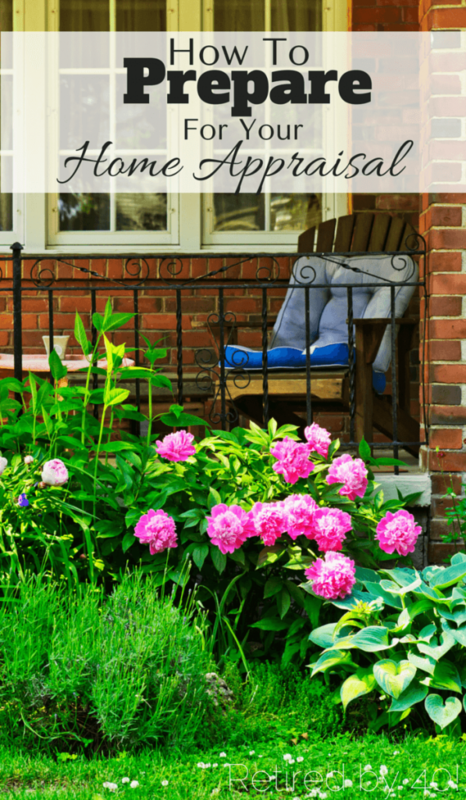 How Does An Appraiser Determine a Home’s Value? An appraiser looks at many things to determine a home’s value. In addition to taking into account the property’s condition, the appraiser looks at neighborhood sales, current listings, location, and even the property itself. The appraiser finds comparable sales (comps) to figure out what the property’s real value is. The thing to remember about doing home improvements is that there aren’t definite improvements that will increase a home’s value. How much improvements will affect the value also depends on the market, whether it is a buyer’s or seller’s market. However, specific improvements such as upgraded bathrooms and kitchen, newer HVAC, and a newer roof that tend to raise the value of a property. Condition also depends on the market. If homes to buy are in short supply, buyers are more willing to overlook home in disrepair, or that are outdated. However, in a market where a lot of homes are up for sale, buyers will move on from a house that is outdated or in need of repair. What Can I Do To Get My Home Ready For an Appraisal? We’re also going to make sure the house is mostly clean and organized, the carpets have been steam cleaned, and the floors scrubbed. I know all of those things sound very basic, but they’re easy to let slide when you have a toddler at home. We’re also going to put a strong emphasis on the outside of the house – making sure the lawn is mowed, hauling a load of free mulch from the Big Guy’s work to make our flower beds look more presentable, cleaning the gutters, and picking up the dog’s mess in the yard. Make sure our hardwood floors are shining! Pick up the kiddos mess! Anything else we should do to get our house ready for its appraisal?